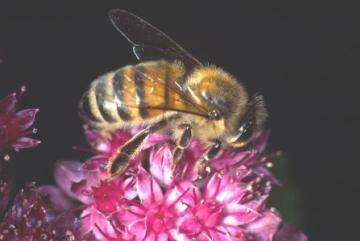 The Honey Bee probably occurs across the whole county, but has not been well recorded, since it is often considered so common that people do not bother to record its presence, and of course it is widely kept for its honey. Please help record this species in our survey forms. The main natural nest site for this species in Britain is standing hollow trees, although the bees forage widely in the surrounding countryside.